Random Anny .Com: Sunday? Must be time for free stuff! Sunday? Must be time for free stuff! If you're shopping for back to school season click here first. This week's best deals broken down by store. Don't forget price matching! I deliberately stayed away from Staples today. Look at all the free stuff they have! I have $150 in rewards and ink checks piled up and am planning to buy an Ooma as soon as they agree to price match another store. If I wander into Staples I'll end up with label makers and printers and all sorts of uselessness instead. Revlon foundation was $9 with $9 back. I used a $1 coupon and ended up making money. Candy bars are .50 cents each. I had 2 free candy bar coupons and 2 $1/off 2 candy bar coupons. Lets hope I don't get diabetes thrown in for free! 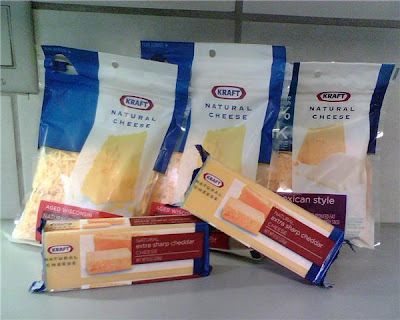 Not ridiculously cheap but my new recipe book seems to be Sponsored by Cheese so I needed to stock up and that was the cheapest cheese this week. There was a coupon in today's Star Ledger for a free 2oz Glade soy candle. 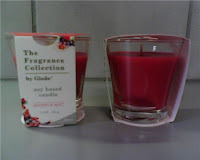 I had two and picked "currants and acai" scent - smells like candy! RiteAid has free tape and very cheap insoles this week. Walgreens has free toothpaste. If you need to refill ink cartridges and like balloons Walgreens has all ink refills for $10 this week - color AND b&w.